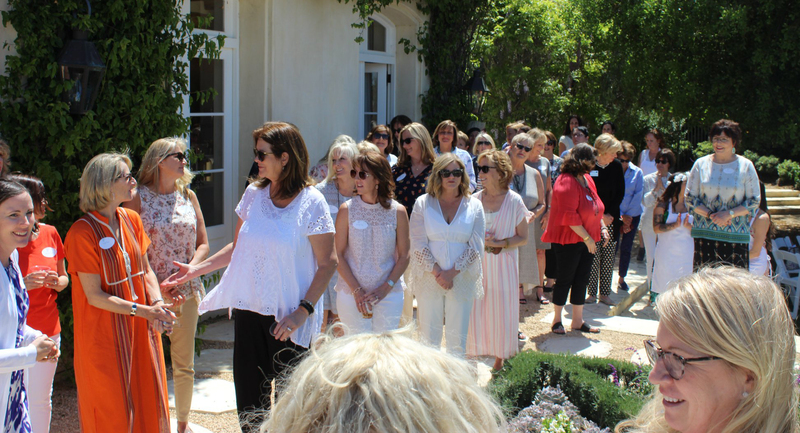 Our 4th Spring Luncheon was a SUCCESS! This event is hosted annually by Women at the Well Auxiliary and our NorthEast staff, with the purpose of growing and expanding participation in the Auxiliary. 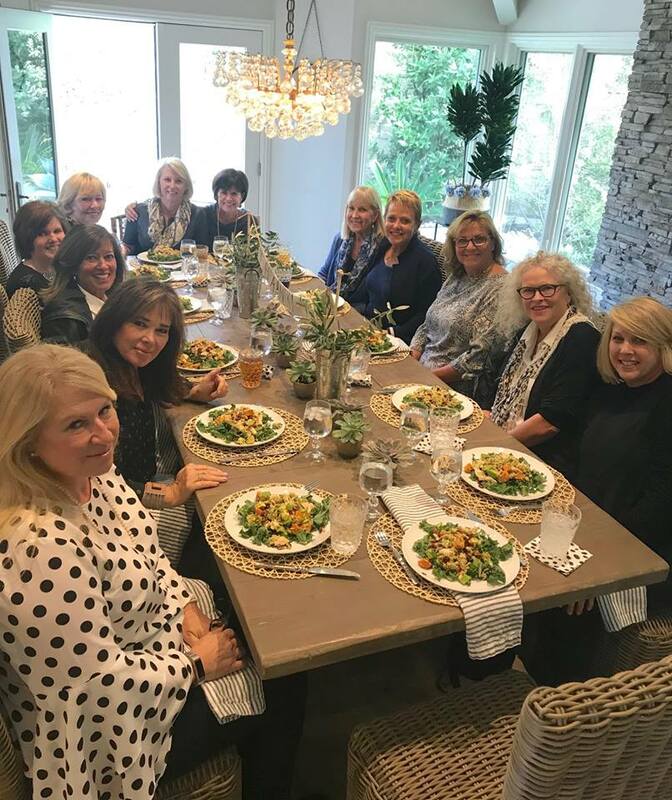 This year surpassed our expectations with 80 women gathering at the beautiful Hedstrom home to hear about our ministry and vision. We were able to present our ministry to many new women for the very first time, and we were overwhelmed at the response. God is good! So proud of the 5 ladies we baptized last Friday! Each one took a stand and shared their testimony, including why they chose to get baptized and what God had brought them out of. 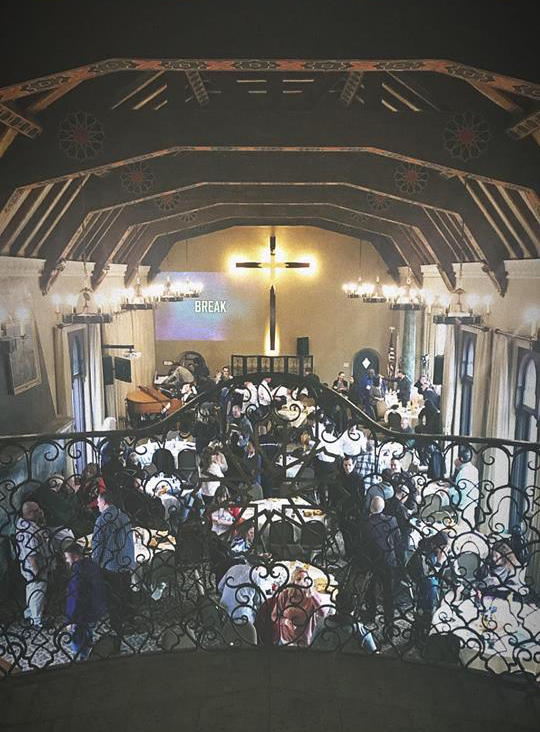 We enjoyed a beautiful brunch, worship, a devotional, and celebrated the way God has already moved in each life. We believe baptism is AN OUTWARD SIGN OF AN INWARD CHANGE! Special thanks to: Hank Weber (host with the most), and our Women at the Well Auxiliary ladies Karen Hedstrom (for making the entire brunch! ), Kathie Madden and Gaile Fortier (for cupcakes and gifts) and for wonderful President Heather Re who supports with her presence, and so much more! 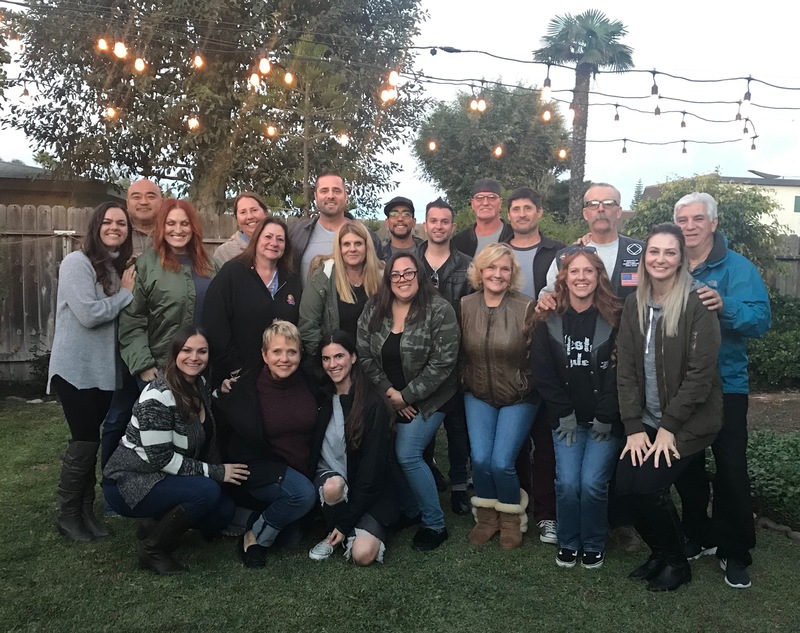 4 men took the plunge last week: we baptized 1 man from Ryan's House (sober living outreach), 1 from Timothy House (Teen Challenge Adolescent Center), 1 from our Long Beach community and 1 (little man) from our children's ministry! A special thanks to Hank Weber for opening up his beautiful renovated home - this event doubled as his "house blessing"! Teen Challenge Refresh Conference at "The Castle"
A few of our NorthEast staff were blessed to take part in the 7th Annual Pastor's Conference, held at the Teen Challenge "Castle" in Riverside. The theme was REFRESH, and that is how it left us: refreshed! Our staff and leadership are ready to pour back out into the ministry of NorthEast! NorthEast of the Well just finished our 2nd "Jail to Jerusalem" trip to the Holy Lands. We took a group of 20 - comprised of our ministry and outreach partners, community and staff - and journeyed to Israel for a 10 day leadership development experience. The ultimate goal of this trip is to raise up teachers of God's Word: by seeing sites and walking where Christ did, we let scripture take root in our own lives so we can pass it along with new understanding and passion. We didn't waste any time in practicing - most members prepared and shared a biblical teaching at a site during the trip. God is developing leaders and teachers from a group that used to be users and abusers - this is where we see our vision statement come to life: THE OUTCAST BECOMES THE WITNESS! We loved taking part in a NIGHT OF WORSHIP at St. Andrew's Presbyterian Church last Saturday. NorthEast was present the entire weekend: Sunday was St. Andrew's Mission Fair, and our team was in the plaza, talking all about our ministry and how people from SAPRES could get involved. Thanks again for having us! Our Annual Women's Discipleship Retreat took place January 25 & 26. 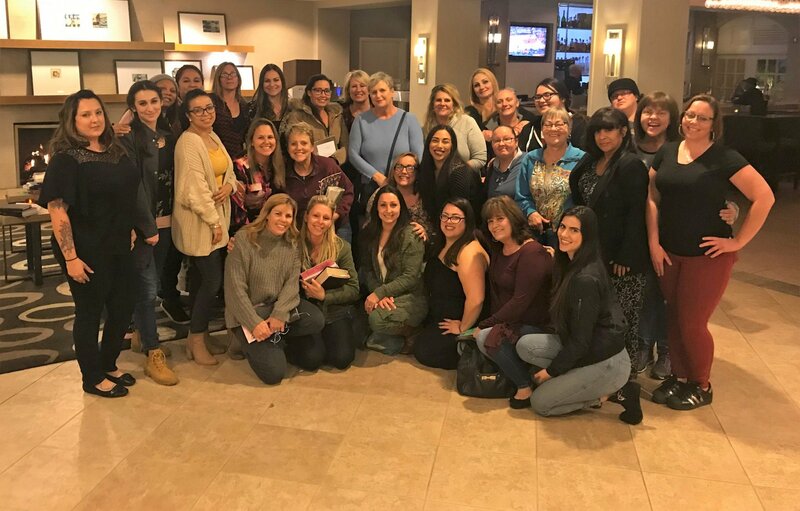 Ladies attended from our Anaheim, Newport, and Long Beach communities. Theme of the weekend: choosing to be ALL IN as a follower of Christ. Sweet times were shared together on morning walks, around the table, in God's Word and in prayer for one another. Northeast at Teen Challenge Graduation! We recently got to be special guests at the Orange County Teen Challenge graduation! NorthEast brought worship & the Word, and heard 3 stellar men share how their lives have been dramatically changed. Pray for these 3 grads as they head to The Castle in Riverside to complete the next phase of their program: WE ARE ALWAYS LEFT BLESSED & REFRESHED AFTER A TC GRADUATION CEREMONY! We sent a group of 6 preteen girls off to winter camp last weekend at Forest Home, a Christian campground. These kids come to NorthEast of the Well regularly with their moms/grandmas and represent Anaheim, Newport & Long Beach. They've been through a lot in their lives, watching their caregivers go through addiction, recovery and restoration. 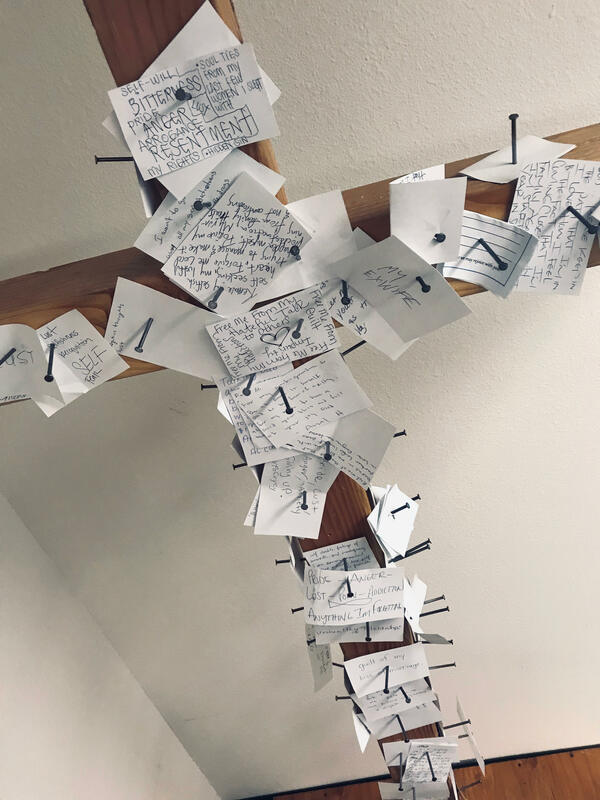 At Forest Home, they enjoyed a special weekend JUST FOR THEM: they played games, learned about Jesus, worshiped, and shared their hurts and struggles in a safe, encouraging place. Thank you to those who made this retreat possible: a special shoutout to NorthEast staff (aka camp counselors) Haylie Greggory and Shaneen Neag, as well as driver Jason Griffice. Serving USA (previously Serving California) featured NorthEast of the Well in their December newsletter. Serving USA partners with NorthEast to provide funds, support, and guidance as we grow. We chose to share about our ministry through the lens of a testimony, and Shaneen, our Long Beach area coordinator, was more than willing to tell what God and NorthEast has done in her life. Please click below to enjoy the whole article (scroll down the page just a little). This newsletter went out to 18,000 people via email! We are so grateful for this platform, allowing us to share about lives changed with a new, WIDE audience. 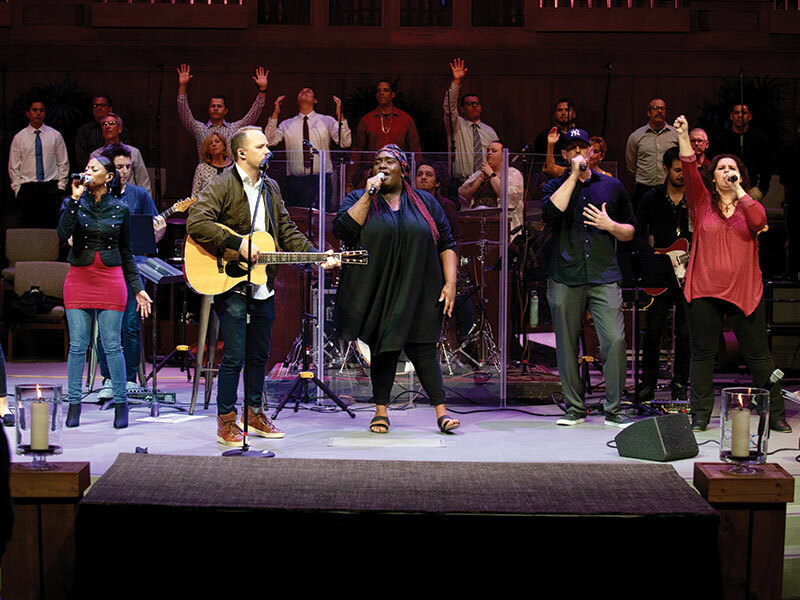 At our New Year's Eve Service in Santa Ana, our NorthEast community gathered to worship and bring in the new year RIGHT: we nailed to the cross the things that hold us back. Pastor Jason said, "This was one of the best things NorthEast has ever done. 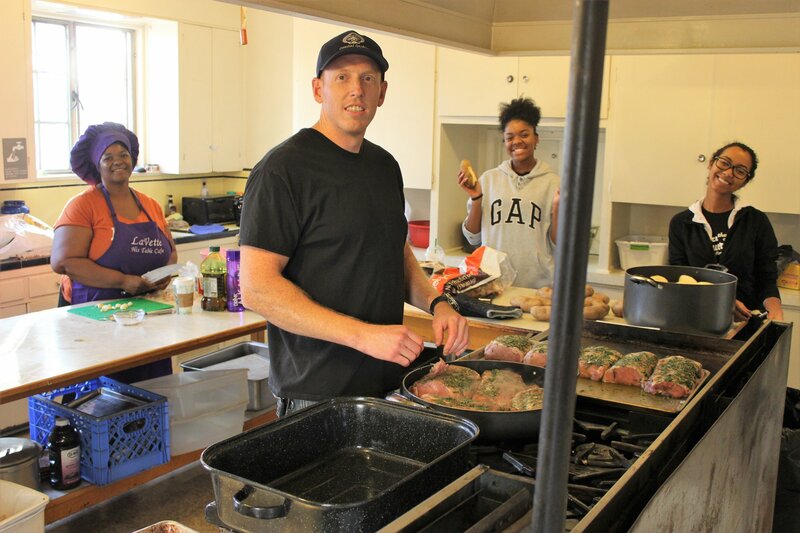 The call to repentance for 2019 was exactly what we needed.” NOTE: Our new Santa Ana gatherings start January 16, and will continue every Wednesday @ 5:00 p.m.
Special chefs from Open Gate (culinary training & mentoring program), as well as Chris Joiner, worked hard to prepare a Christmas meal for over 100 people. We switched up the tables to eat family style, and the NE staff served each person. Our LB community members were represented from Flossie Lewis Recovery, Daisy House, Lydia House, LA Teen Challenge, and more! We played our favorite crowd mixer, Human Bingo (for the first time in Long Beach! ), held a raffle, and enjoyed worship & the Word. The kids had a celebration themed HAPPY BIRTHDAY JESUS. MERRY CHRISTMAS - WE LOVE YOU LONG BEACH! 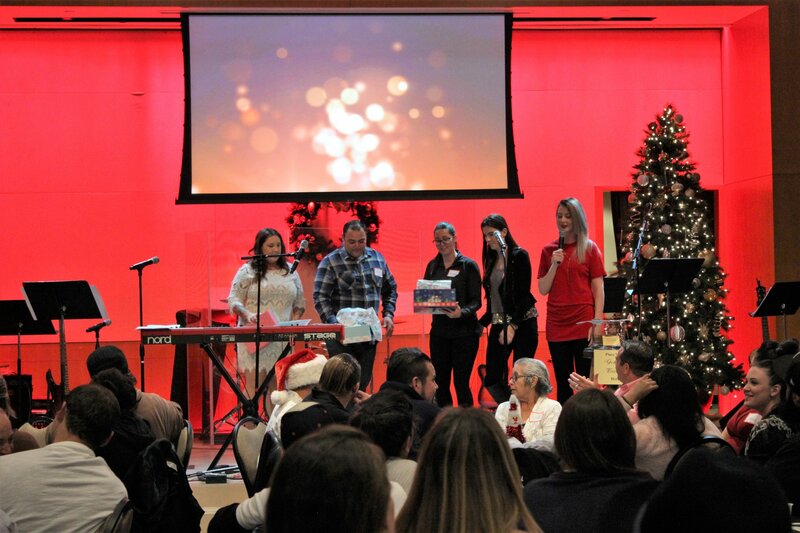 Newport + Anaheim gatherings combined at St. Andrew's last Monday to celebrate Christmas together! Our community members were represented from Prototypes, Ryan's House, Grandma's House, OC Teen Challenge, Village of Hope and more! With our vans, drivers, and a borrowed bus, we brought in the party. We played our favorite crowd mixer, Human Bingo, held a raffle, and enjoyed worship, the Word, and the ALWAYS delicious dinner from our Loaves & Fishes team. MERRY CHRISTMAS, NEWPORT + ANAHEIM! 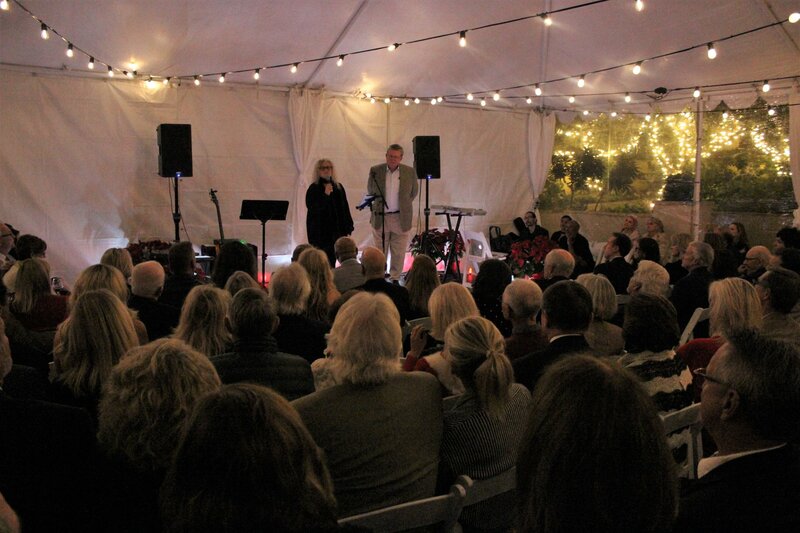 NorthEast of the Well was honored to benefit from a fabulous and festive event last weekend at the private home of Mark & Karen Hedstrom. Our hosts went above and beyond offering delicious hors d'oeuvres, desserts & take-home treats. Our NorthEast team presented to the crowd through worship, testimonies and sharing. The climax of the evening was entertainment provided by Raffia, who presented “A Tribute to Motown”. Raffia is an R&B Soul/Jazz Artist who has worked with some of the biggest names in the industry: The Jacksons, Gloria Estefan, Toni Braxton & many more. She was joined by C.C. Thomas Jr. who is an Emmy-nominated songwriter and the musical director for Diana Ross. We moved and grooved the night away, while raising funds for ministry in 2019. A huge, over-the-top thank you to Mark & Karen Hedstrom. Thanks to WOMEN AT THE WELL AUXILIARY who took a mini road trip with us up to Long Beach last Friday. We piled in the NorthEast van with gifts and lunch to bless the women of Flossie Lewis Recovery. We worshiped, ate, and heard a powerful word on HOPE from teacher Gina Hughes. Special shout out to @Heather Re for making beautiful scarves for each lady - they felt oh so special. Centinela State Prison: Game #2! GAME TWO: We were invited to play softball a 2nd time with the inmates of Centinela State Prison. 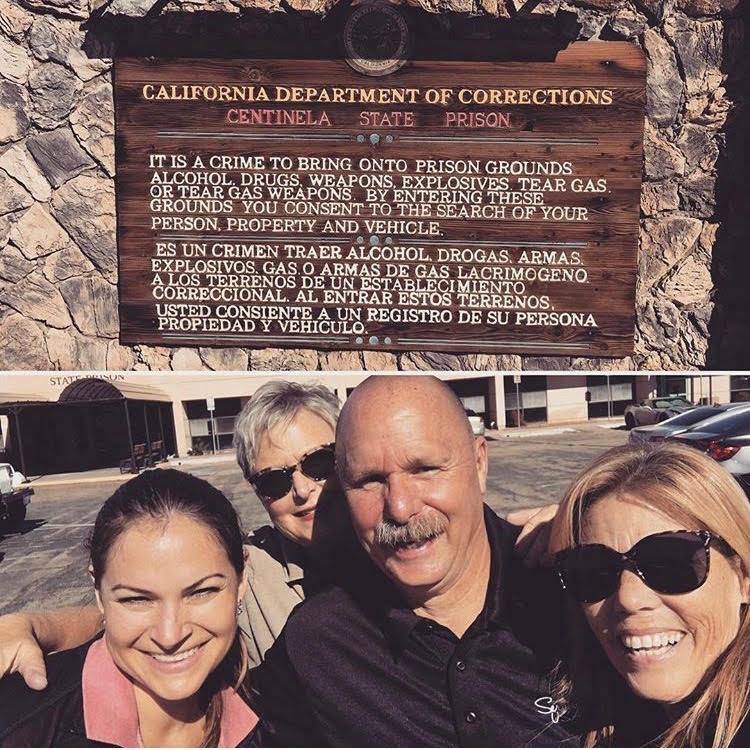 Last weekend, Sarah, Gina, and Emily went to represent NorthEast, joining John of Serving USA (side note: John served time at this very prison - what a testimony!). 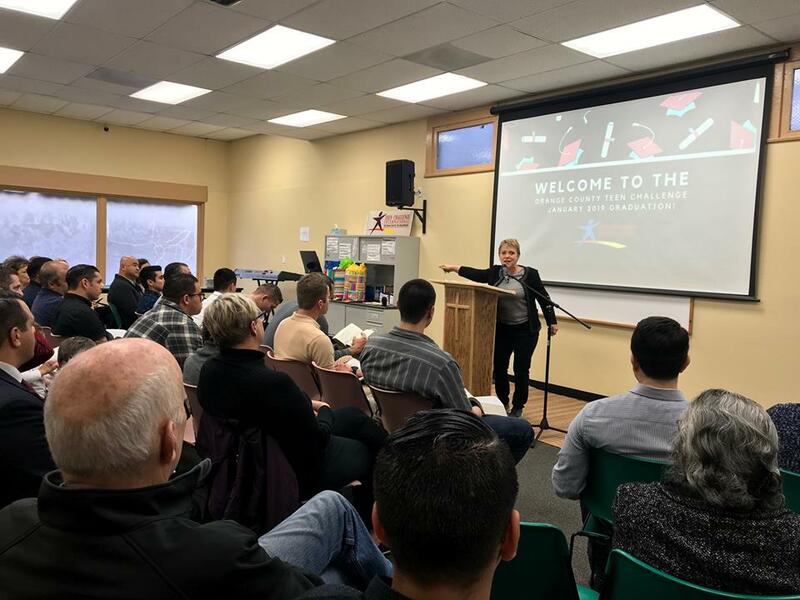 Gina Hughes, one of our teaching and discipleship leaders, tells how she shared the Gospel with a couple of the inmates (read below). All 3 of our NE staff had the opportunity to speak about Christ's love and encourage these men. Centinela State is a maximum security prison, where inmates are serving long-term to life sentencing. Our next game is in March: contact us if you "got game" talking Jesus & softball. MEET TEAM ISRAEL 2019!!! Yesterday we held our first team meeting at the home of Tim & Laura Suk for our second "Jail to Jerusalem" trip. Represented among this group is our community members (from Newport, Anaheim, and Long Beach! ), NE staff, outreach partners (Grandma's House of Hope), ministry partners (OC and LA Teen Challenge), and more. We shared, worshiped, prayed and began to bond as a team. This is a "leadership development" trip, aiming to equip us better to understand and teach the Word of God. Our trip is February 2019 and we'll keep you updated ... please keep us in prayer! Last week, we distributed 36 TURKEYS among our NorthEast community to make their holiday extra special. We drove around and delivered the birds to sober living homes, families, and recovery programs throughout Anaheim, Costa Mesa & Long Beach. Pictured is one of our favorite families from Long Beach preparing for their dinner. Thank you journalist Bruce Cook, for mentioning NorthEast in the Daily Pilot online! 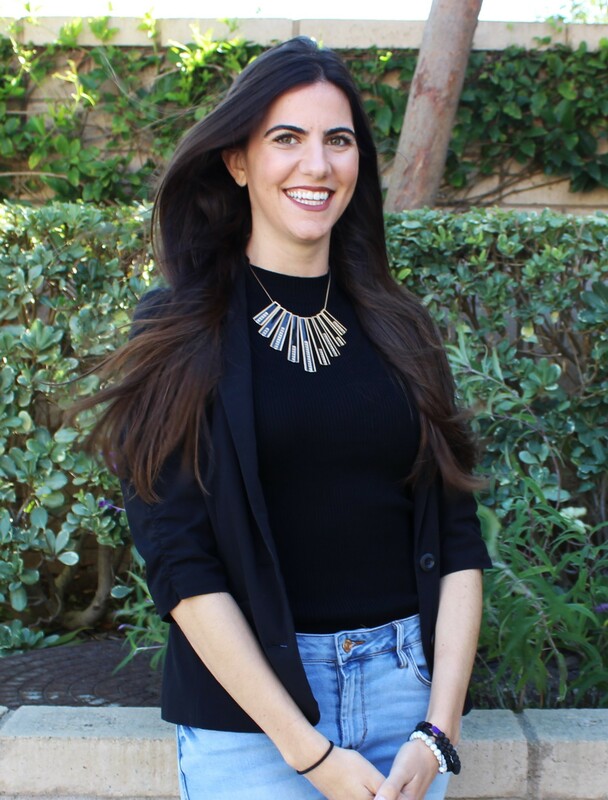 “People need to form deep relationships with others, have the opportunity to feel significance and connect with something greater than themselves,” said the organization’s Kristel Miles. For those unfamiliar, the name of the organization is taken from the New Testament — John, Chapter 4 — describing a woman at a water well encountering Jesus Christ. In the modern era, NorthEast of the Well offers an outreach program affecting some 350 O.C. residents every week in various forms of rehab. Volunteers visit some 15 county programs and sober residences and provide more than 1,400 meals each month. In addition, the group transports recovery addicts weekly to worship services. To attend the holiday event or learn more, visit northeastofthewell.org. We loved being part of the THANK YOU LUNCHEON put on for Women at the Well Auxiliary on November 7. This team worked incredibly hard to make our Fall Gala a huge success! We are so grateful to all who planned, procured, and participated. 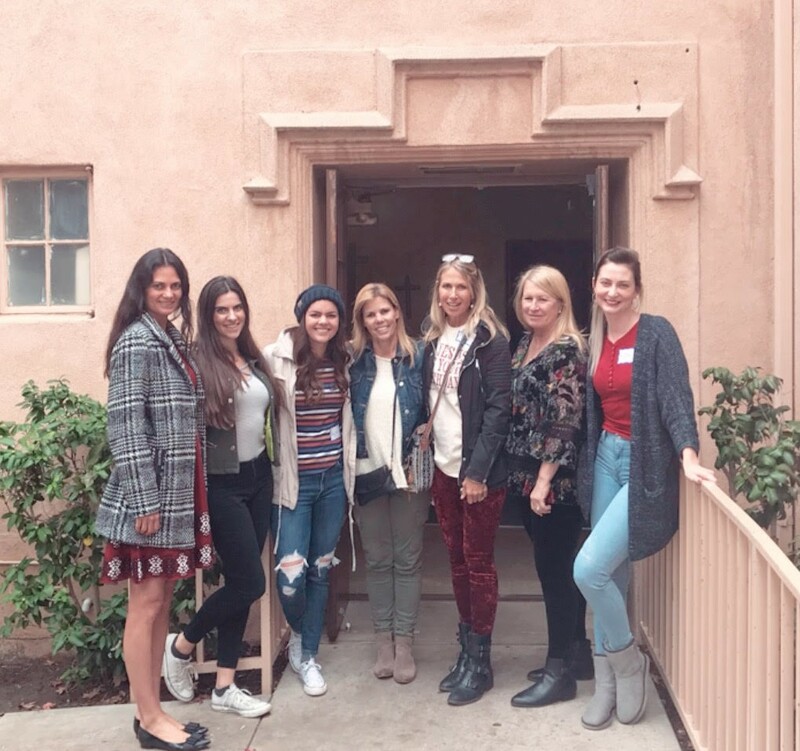 PS Women at the Well Auxiliary is led by Heather Re, and we're always looking to grow our group. Contact us to get involved in all the fun for next year!